When looking all over the great state of Florida, with the thought I want to sell my motorcycle, there is only one place you should go, Sell My Motorcycle Online. From Orlando, Daytona, Tampa Bay to Tallahassee, we cover the whole state of Florida. 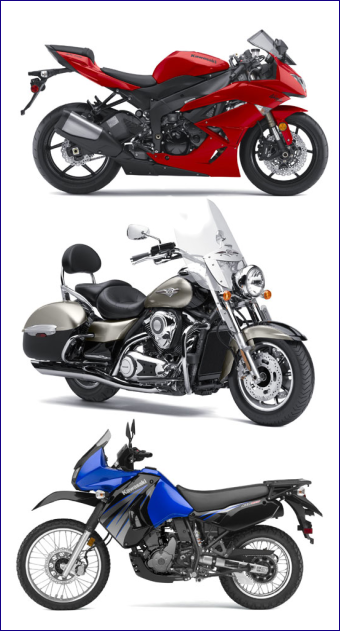 We buy all types of used motorcycles, like Harley Davidson, Honda, Suzuki, or Yamaha. Sell My Motorcycle Online is the premiere motorcycle trader in Florida. Sometimes the values for a used motorcycle trade in Florida is less than favorable for the buyer. I you want to sell your motorcycle fast in Florida, Sell My Motorcycle Online is your answer. We offer you top value for your used bike, a substantially better offer than a local dealership. We have representatives through out the state, so contact us now and we can get back with you quickly with a fair price! Call us now at 1-954-519-2460 or get a free quote by clicking here! Sell your motorcycle today in Florida, so you can get the money for your bike you deserve!